Amount of corn and potatoes used in recipe fit on one baking sheet. Here’s a recipe that would be a great side dish for almost anything hot off the grill. Particularly items with Southwestern flavors, like the Firecracker Flank Steak I will prepare for the Fourth of July. Carefully slice roasted corn from the cob. that unlike many potato and pasta salads, which may be made well in advance, this salad is best enjoyed 30 to 60 minutes out of the oven – room temperature – with the avocado tossed in at the last minute. The size of my sheet pan dictated the amount of potatoes and corn I used; if you increase the amount, you will need to use an additional sheet pan, and rotate the pans in the oven in the middle of cooking time. If I had ripe cherry or grape tomatoes on hand, I would have considered tossing them in for texture, color and for a sweet-tart bite. 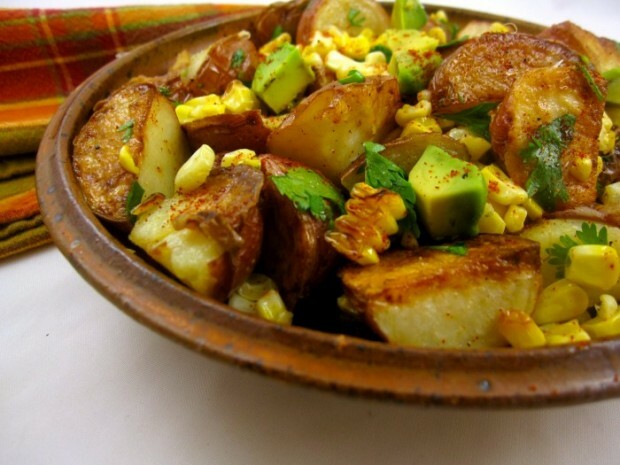 Toss potatoes and rub corn husks with 2 tablespoons of oil; lightly season with kosher salt and freshly ground pepper. Place on foil-lined baking sheet, with potato pieces cut side down, and roast on center rack of oven ten minutes. Meanwhile, to make a dressing, whisk together remaining 2 tablespoon oil, garlic, lime juice and cumin. Stir in cilantro and season to taste with cayenne or chipotle powder. 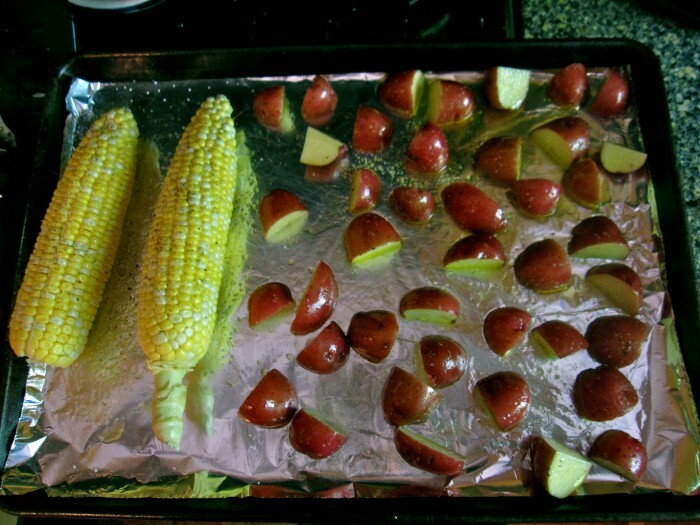 Remove potatoes and corn from oven and prick potatoes with a fork. If they are tender, remove from pan with a spatula (corn takes longer to roast than do the potatoes) and toss with dressing. 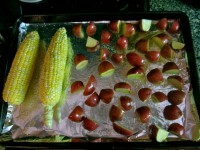 Turn corn and continue roasting until corn is tender, about 10 additional minutes. 5. 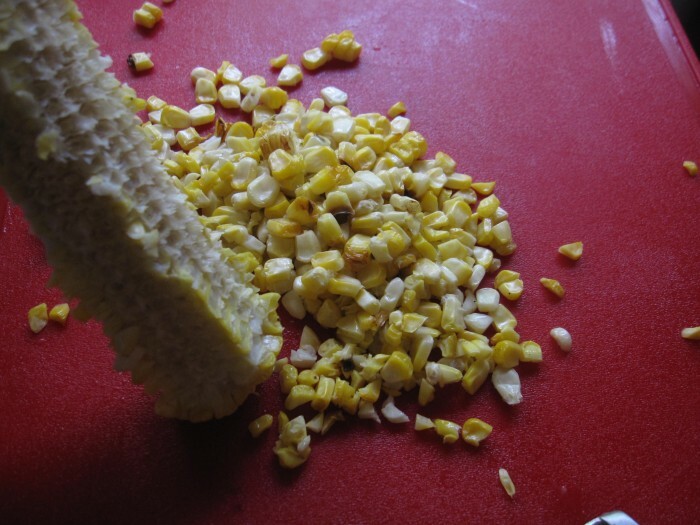 When corn is cool enough to handle, with a sharp knife, carefully cut kernels from the cob and toss with the dressing and potatoes. Stir in avocado and season salad to taste with kosher salt, if needed.